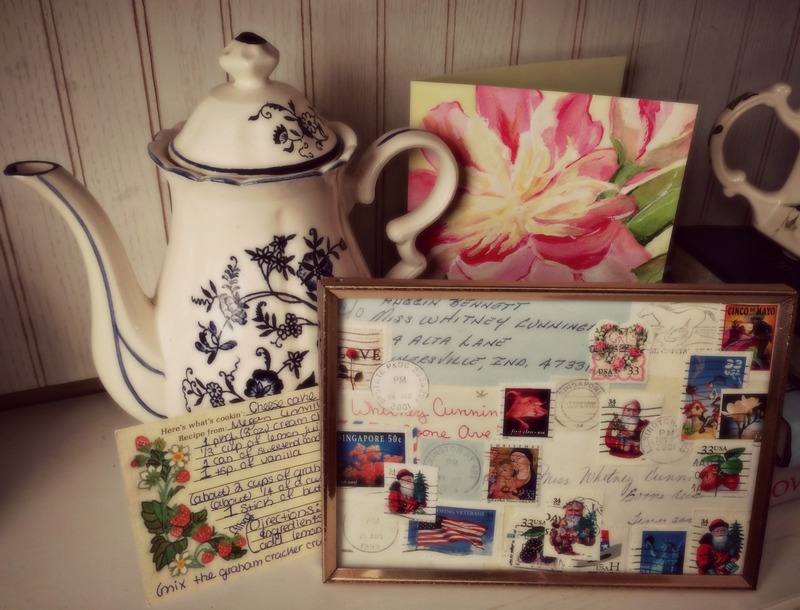 Blogging in 2015 is like having a pen pal in 1995. Back in the 90’s, I subscribed to Focus on the Family’s tween magazine called Brio. They offered to match you up with a pen pal who also read the magazine. My pen pal’s name was Megan, a red-headed girl from Texas. We wrote letters for several years, exchanging family pictures, recipes and stories of life with our younger siblings. I have Megan’s favorite recipe for cheesecake in my file to this day! I know I sent her my favorite snickerdoodle recipe. My other pen pals were friends I’d met at youth events in other cities or friends who moved away. I covered the pages in my favorite Lisa Frank stickers and sent them off to my friends in far away places. Blogging isn’t so unlike those pen pal memories! My favorite thing about blogging is interacting with my readers and the authors of blogs I read. Most of you I’ve never met in person, yet we share pictures of our families, favorite recipes and funny anecdotes from daily life. The rest of you are those I don’t see on a daily basis – friends from places I’ve lived and extended family. I am so blessed to have new friends that live all over the country – and to keep up with old friends that live away from me! Thanks for being my 2015 pen pals! Previous Post The Seasonal Switch – 5 Steps To Success! I’ve LOVED getting to know you through your comments on my posts! Thank you for sharing with me! And you know I’m a big fan of Evan, even if he thinks I have too much stuff in my purse. Haha! As crafty and creative as you are, I can imagine you were the most awesome pen pal! How cool is it that you read Brio too? I love your blog too, I guess we have the Friday linkups to thank for that! You are right – blogging is a lot like having pen pals. I had a couple pen pals when I was a girl. Great memories! Thanks for visiting me today! I’m glad to help you enjoy some fun memories! One of the things I love about blogging are all the friends I have made in the US and presently a friend in Croatia and one in Australia! It is fun to learn from each other, to pray for each other and to look forward to a “letter” from our friends each day. I am thankful that I have met you Whitney and I have learned some great things from your blog. LIkewise, I’m so glad to know you, Arlene! Thanks so much for chatting with me every day!